“Criminalising blasphemy has no place in a modern democracy such as ours. Freedom of expression is at the heart of our democracy and that must include allowing all speech that challenges, or even ridicules, ideas or institutions. The concept of blasphemy exists to protect the ruling ideas in society. In many countries, blasphemy laws are used to punish people who call into question the moral authority of religious teachings on homosexuality and female sexuality. Irish people don’t want imprisonment for those who call into question the authority of religious teachings. This is not to mention the fact that the courts are not equipped to arbitrate what is, or is not, a genuine religious teaching. There are a number of wider issues which ICCL believes will, or should, arise from a public debate on blasphemy. These include freedom of religion and how religious minorities should be protected. ICCL continues to call for legislation on hate crime to ensure this. 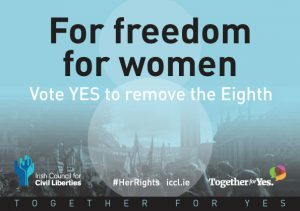 A guiding principle for ICCL in this referendum will be the importance of defending free speech, while at the same time respecting freedom of religion and conscience for individuals. Individual freedom of religion enjoys protection under the Constitution, European and international human rights law, and domestic anti-discrimination law. These protections are appropriate and will not be in any way affected by the removal of blasphemy from the Constitution or from our criminal law. ICCL intends to support national debate on blasphemy and these related issues. We will begin the discussion with a round-table debate on 2 October. Please contact ICCL for further details and invitations. VOTE YES FOR FREE SPEECH! The ICCL believes that it is important for people to understand the difference between blasphemy and hate crime. The offence of blasphemy protects the authority of religious tenets, whereas the concept of hate crime is concerned with the impact on the person of particular speech and/or actions. In the 1999 case of Corway v Independent Newspapers (Ireland) Ltd,1 the Supreme Court held that the constitutional provision on its own was not clear enough to form the basis of a proseuction for blasphemy. In Corway, the applicant had sought the courts’ permission to criminally prosecute the creator of a cartoon published in the aftermath of the 1995 divorce referendum suggesting that the Catholic Church’s influence in Ireland was waning. Due to the Supreme Court’s finding in Corway that the elements of the crime of blasphemy were not clear from the Constitution, the Oireachtas passed legislation in 2009 to give effect to the constitutional offence. Section 36 of the Defamation Act 2009 currently states that it is an offence carrying punishment of a fine up to €25,000 to ‘publish or utter blasphemous matter’. The legislation explains that a person is guilty of the offence if they publish or utter ‘matter that is grossly abusive or insulting in relation to matters held sacred by any religion, thereby causing outrage among a substantial number of the adherents of that religion’, provided the person intended to cause such outrage. It is a defence to ‘prove that a reasonable person would find genuine literary, artistic, political, scientific, or academic value’ in the publication or utterance. 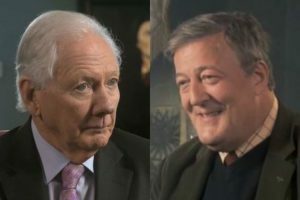 The crime of blasphemy has not been prosecuted in Ireland since 1885.2 In 2017, Gardai refused to prosecute Stephen Fry following public complaints about his words during an interview with Gay Byrne on RTE’s ‘Meaning of Life’ programme. The 2009 legislation was widely criticised in public and the Government pledged soon after to put the question of the removal of the constitutional offence of blasphemy to the Convention on the Constitution in 2013. In November 2013 the Convention on the Constitution voted 61% in favour of removing the offence of blasphemy from the Constitution. Over the past few decades, the Law Reform Commission,3 Constitution Review Group4 and Legal Advisory Group on Defamation5 have also all called for the abolition of the offence of blasphemy in Irish law. 1. While welcoming the repeal of the Defamation Act, 1961, the Committee remains concerned that blasphemy continues to be an offence under article 40.6.1 (i) of the Constitution and section 36 of the Defamation Act 2009 (art. 19). The State party should consider removing the prohibition of blasphemy from the Constitution as recommended by the Convention on the Constitution, and taking into account the Committee’s general comment No. 34 (2011) on article 19: freedoms of opinion and expression, concerning the incompatibility of blasphemy laws with the Covenant, except in the specific circumstances envisaged in article 20, paragraph 2, of the Covenant. 2Forde and Leonard, Constitutional Law of Ireland (3rd edn, Bloomsbury Professional 2013) 573; Corway v Independent Newspapers (Ireland) Ltd  IESC 5;  4 IR 485 para 24. 3 Law Reform Commission Report on the Crime of Libel (LRC 41-1991) p12, para 21. 4 Report of the Constitution Review Group (The Stationery Office, Dublin, 1996) p274. 5 Report of the Legal Advisory Group on Defamation (Dublin, 2003) pp34-35, para 59.